a truly wicked collection of pommel strikes, disarms and arm-locks. This material is formally part of scholar and free scholar training, but the workshop is open to all current armizare students. 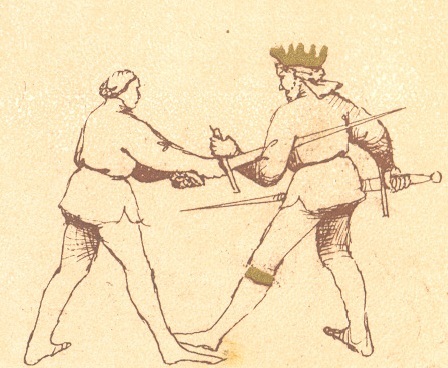 Rapier students are also welcome to attend, as many of the same disarms and strikes occur with that weapon as well. However, you must be comfortable with the dagger curriculum and executing cuts, so it is recommended for Renaissance swordsmanship scholars, rather than novices.